Photo by Jeff Crawford for Niche Media. Your watch has what in it? Not a phrase you hear too often when wearing a timepiece, unless your watch offers an incredible surprise. Yesterday we unveiled the new Armin STrom Cognac watch here — with actual flasks of rare cognac in it. 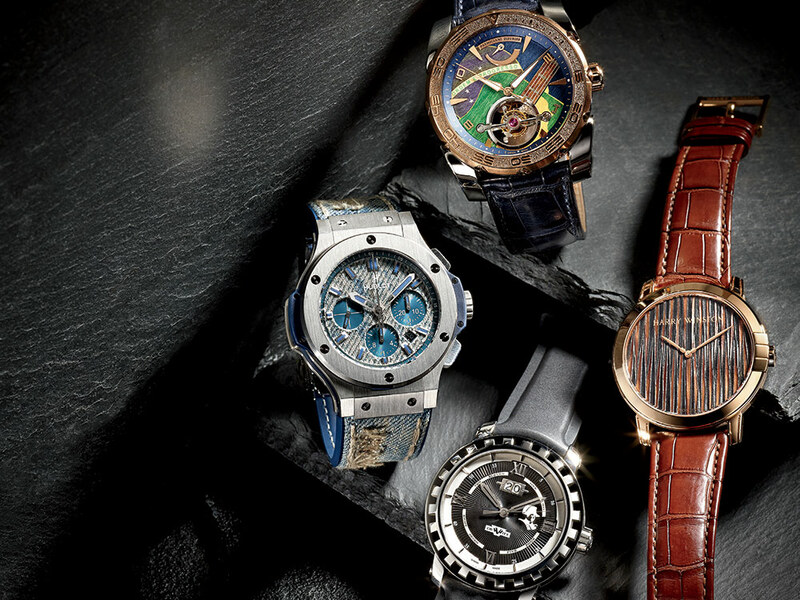 Now, it’s time to take a closer look at some timepieces with a few surprising elements in them. Indeed, today’s watchmakers vie for top spot when it comes to offering unusual watches. Sometimes that challenge is met with complicated movements or new materials, but in these watches, the brands look toward incorporating some extremely atypical elements into the watch dial that make it a work of art, or nature. 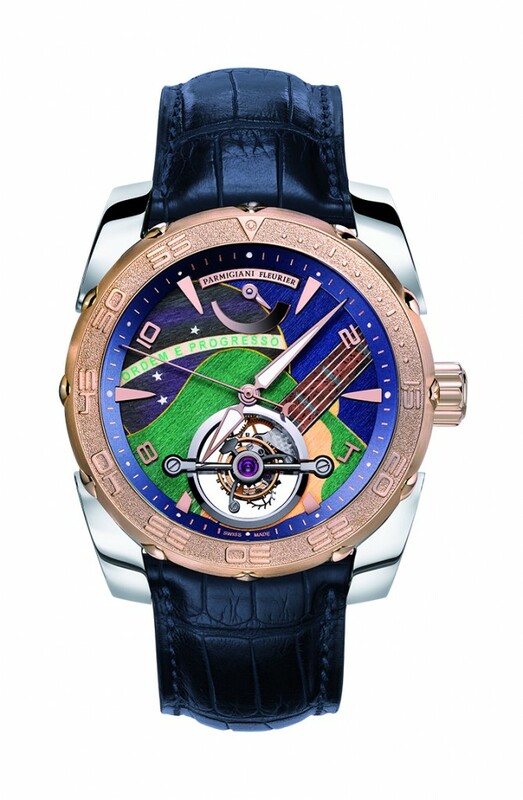 The Parmigiani Fleurier Pershing Tourbillon Samba Madeira watch ($248,000) is crafted in titanium and rose gold and features a dial depicting a “Gibson and Brazil” pattern made of meticulously hand-worked mosaic of exotic painted woods. The watch features a 30-second tourbillon escapement within the 237-part PF510 manual-wind movement. 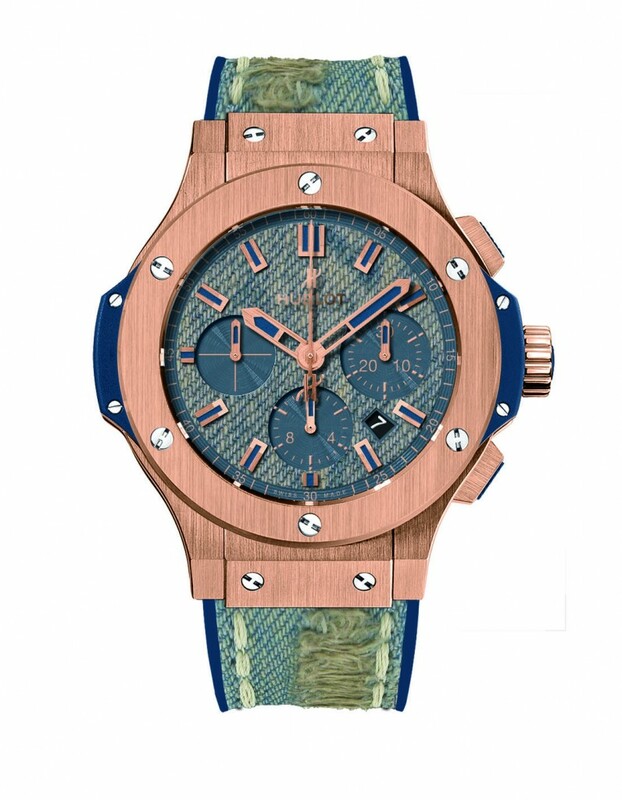 Meanwhile, Hublot’s Big Bang Jeans Steel 44mm watch ($16,000) is made using actual blue jeans for the strap and dial. The jeans are genuine washed and used. The case is steel and the movement is an HUB4100 self-winding chronograph with 42 hours of power reserve.